For hotel operators, the guest check-in experience is near the top of the list when it comes to priorities, right up there with the cleanliness of the rooms. To reflect these exciting changes, the company set about rethinking entirely the guest experience at its world headquarters in Minnetonka, Minn. 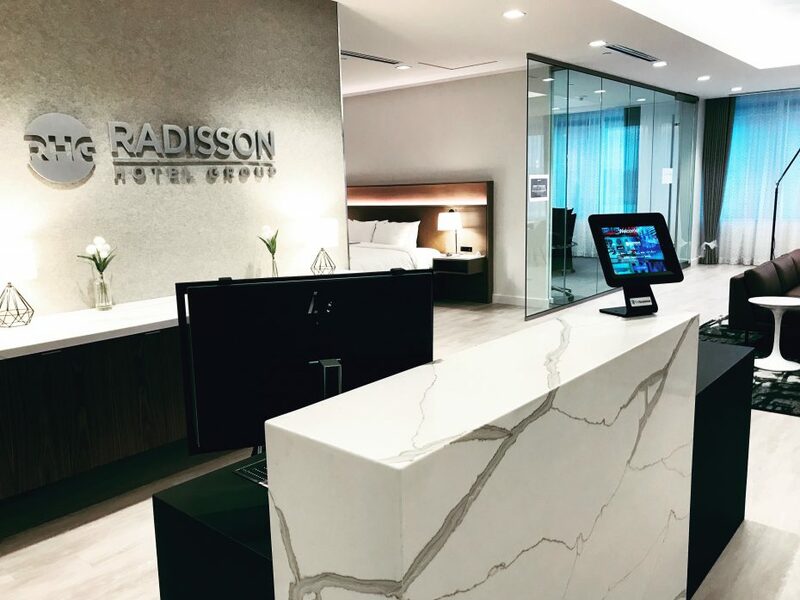 In early 2019, Radisson Hotel Group’s corporate headquarters unveiled a newly redesigned lobby, boasting a true upscale hotel experience, with a reception area, a lounge and collaborative space, as well as a Radisson hotel showroom. To greet guests, the space was also equipped with state-of-the-art technology, which includes a newly adopted visitor check-in system: The Receptionist for iPad. As part of the office redesign, Radisson Hotel Group created a new role. 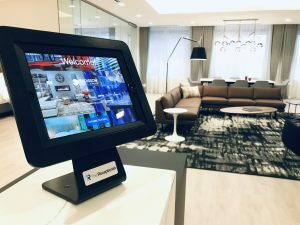 Much like the concierges at its hotel properties, Radisson Hotel Group’s corporate office lobby now has a concierge, which Tiziou describes as a mix between a greeter, a receptionist, and a Responsible Business support representative for corporate. But because that person is not always at the front desk, that’s where The Receptionist for iPad shines. From checking in visitors, to notifying employees that guests have arrived, to accounting for parcel and package deliveries, Tiziou says The Receptionist for iPad is a critical element to creating the welcome experience the company sought with its lobby redesign. “We can totally and confidently say we’ve created an upscale experience for our guests at our world headquarters, and The Receptionist for iPad adds a significant piece to that,” Tizou added.